“Small stage races without major climbs, perhaps with mixed stages and a time trial, and the classics. There is a possibility that I can do the the whole Belgian calendar, from Flanders to Liege." 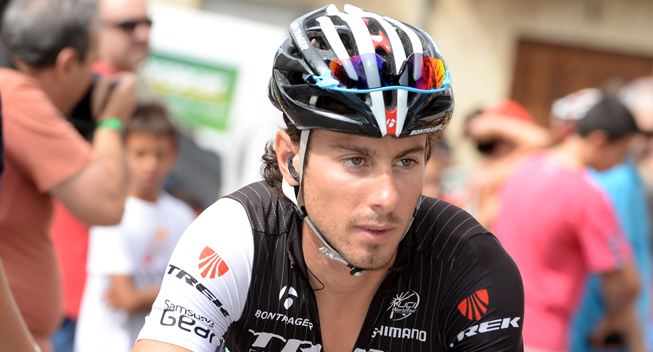 Fabio Felline is working to prepare a great 2016 season, his third year with Trek. The 25-year-old Italian is back after a positive year during which he rediscovered the winning feeling with three victories and numerous places of honour – a remarkable change compared to the disappointing 2014. Felline gained confidence from the fact that he was able to take a WorldTour win at the Vuelta al Pais Vasc and be competitive in a short stage race like the Eneco Tour. "With the team, we'll choose the races that suit to me for next year,” he continued. “Small stage races without major climbs, perhaps with mixed stages and a time trial, and the classics. There is a possibility that I can do the the whole Belgian calendar, from Flanders to Liege." However, he is cautious when it comes to the cobbled classics because “we must see what Cancellara needs” in what I likely to be his last appearance in his preferred races. The main objective will be to "take another step" and establish himself among the best in world cycling. For this reason Felline hopes to "win more WorldTour races" and be a leader in Belgian races, not necessarily at a personal level but by riding in service of the team. All this will happen in an environment that he knows. What is missing in Felline’s palmares is a victory in a Grand Tour. He tried again in 2015 and got close in Sestri Levante where he was beaten only by Michael Matthews. He also got solid results in Fiuggi where he was boxed in as he wanted to launch his sprint, and in the time trial in Valdobbiadene. The World Championships in Richmond also leave some regrets. In a race dominated by bad luck for the Italians, he had to deal with a mechanical problem as he was set back by a broken saddle. "In the end I did what I was told,” he said. “I'm not really happy with how it went because I was all right and in the end I could have created the opportunity to play my card. I was unlucky but I still supported the team."